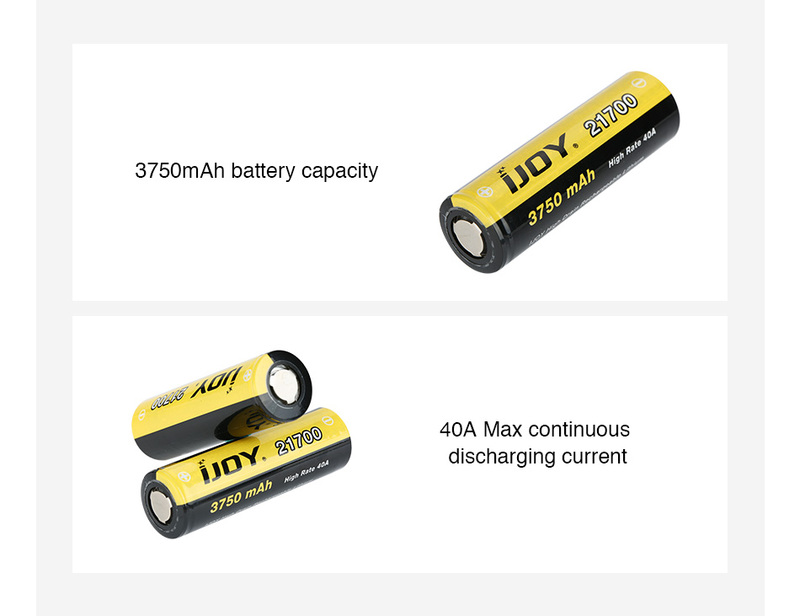 The IJOY 21700 High Drain Rechargeable Battery comes with a 3750mAh battery capacity and 40A max continuous discharging current. It can be used with the most 21700 regulated and mechanical MODs. Long storage life, light weight and high energy density. Get it as a spare so you never have to stop vaping!